I've only been writing this blog a couple of months and I can't believe how my memorial posts I've had to write for some rather iconic 80s type figures. 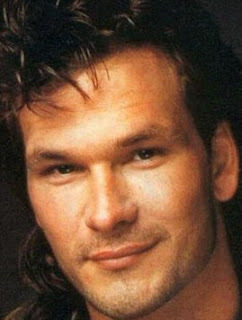 The latest to the list is Patrick Swayze who sadly lost his battle with pancreatic cancer the other day. Hell of a way to go. You have to admire the fact that he kept right on working right to the end and had a current show on A&E that was doing fairly well. Whether you liked him or not, his body of work was pretty large and he was an accomplished dancer and released some music as well. 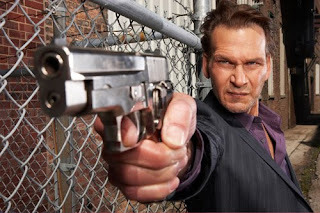 He's mainly known by many for his roles in Ghost and Dirty Dancing (which let's face it, wasn't dirty at all in retrospect.......I've seen worse during Sunday mass, but I digress) along with some of his earlier work on The Outsiders, Red Dawn and Young Blood which helped earned him a membership in good standing of the Brat Pack back in the 80s. As a tribute, here are some examples of Patrick doing what he does which you may not have seen before.